The company required their site to become more user friendly and allow people to easily find relevant resources using the ‘journals explorer’ to narrow down their search. CuCo have included a news feed in the footer on the homepage and have also heavily made use of custom posts and custom taxology. 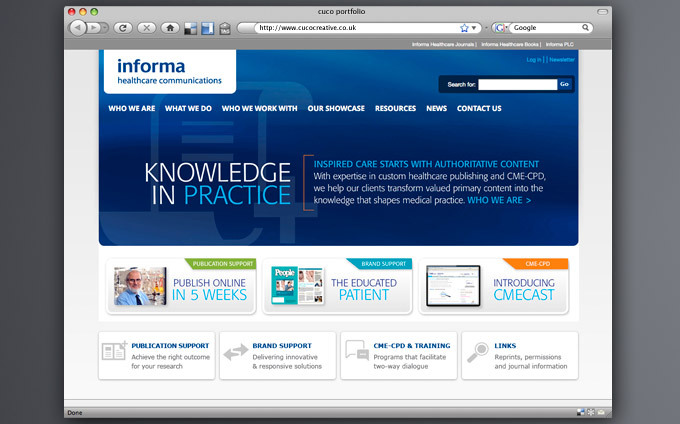 The site is mainly used by librarians, information managers, medical writing and communication professionals.